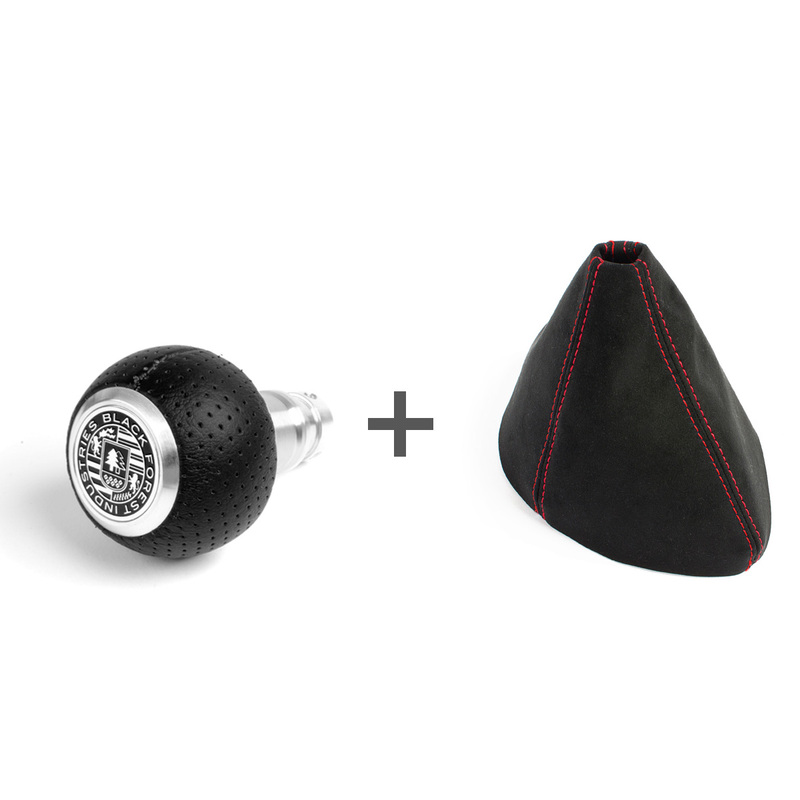 Adding to an already good thing, our new shift knob and boot combinations will help take your interior to the next level. This heavyweight shift knob feels like butter in palm of your hand, thanks due to the top grain perforated air leather that it's wrapped in. Weighing in at approximately 215 grams the added inertial mass makes shifting effort substantially less while speeding up the process at the same time. While we've borrowed inspiration from shift knobs past, we think we've really perfected the proportions this time around- with the 3/4 leather to metal ratio. Visually this thing leaves nothing to be desired. The machining is top notch, and the detailed crest coin gives that classy yet sporting look which elevates any interior's level by at least 50 cool points. Shift boot included. Boot may differ from pictures.